Teaser poster added for movie “Uchi no Shitsuji ga Iu Koto niwa” starring Ren Nagase (King & Prince), Sho Kiyohara and Yuta Jinguji (King & Prince). 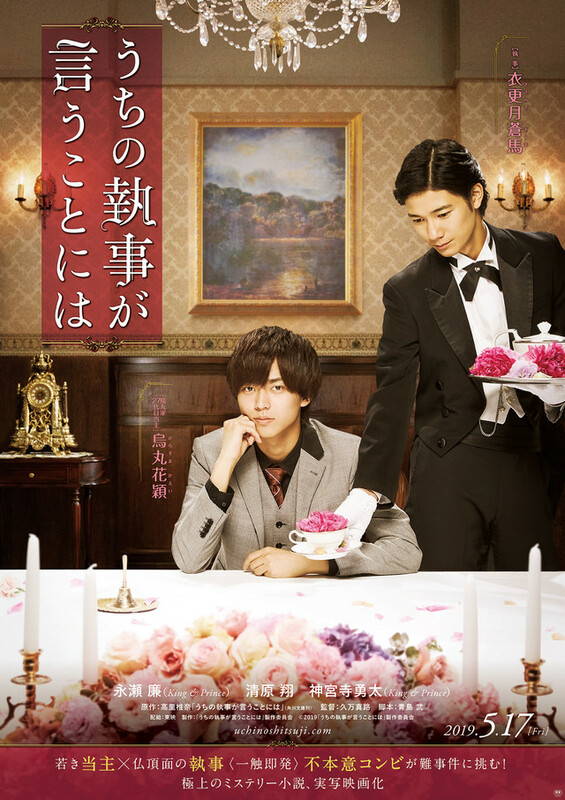 The teaser poster features Butler Soma Kisaragi (Sho Kiyohara) serving a cup of flowers to Kaei Karasuma (Ren Nagase). Movie is based on novel series “Uchi no Shitsuji ga Iu Koto niwa” by Shiina Takasato and directed by Shinji Kuma. “Uchi no Shitsuji ga Iu Koto niwa” will be released May 17, 2019 in Japan.